“We are small, but mighty” is how one student in my room described the class’s acts of kindness this year. The class was excited to learn that they are the smallest class in the building, but so far, they have raised the most money for Hearts for Riley, a fundraiser held every spring for Riley Hospital for Children. Aaron Brown volunteers for Real Men Read through the United Way. He comes in monthly and reads to the students. The students always eagerly await his visits and often write stories, cards, or notes for him. In class, we have followed Impact 52’s blog posts. The students love to see what Mr. Brown and his family are up to in the community. As we read the posts from the 25 Days of Giving, the students were called to action. 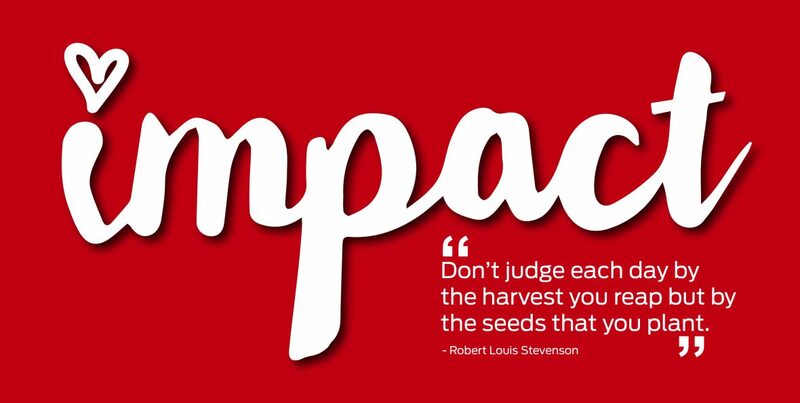 They realized there were lots of things they could do to impact others and the community. Students began writing notes for other teachers, just because. They would make cards when adults in the building were out sick. Students began coming to school and sharing things that they had done. For example, one student took her change from home and dropped in the collection box at McDonalds for the Ronald McDonald House and several dropped coins in the Salvation Army red buckets. The students in my building receive food bags from The Blessings in a Backpack Program, every Friday to help with providing their families with food for the weekends. Shortly after listening to Linnie Mae’s New Friends, one girl commented that she and her family do not need the extra food and are donating it to those that are homeless. She mentioned there are a few homeless people she and her family see within her neighborhood who would benefit from it more than her family. As the class read about Impact 52 making cards for Cards for Hospitalized Children, they learned that there are children out there with chronic illnesses that may never get better. They learned to use the terms, be outstanding, you’re a rock star, and you are beautiful, rather than, get well, as many of the kids they are writing cards for may not get better. Their goal became to bring smiles to other children and their families! The class has also made several cards for hospitals. They decided to make cards for those in the hospital over the Holidays and Valentine’s for Ronald McDonald House at Parkview. When we read about Impact 52’s involvement with Color a Smile, the kids immediately wanted to participate. They colored during recess and even took more home to color. 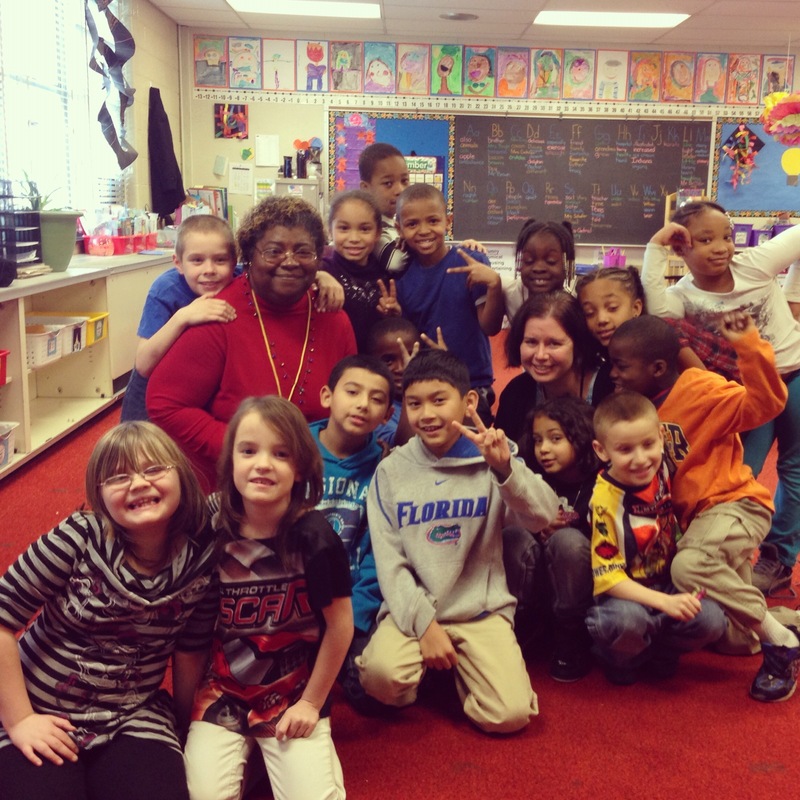 Kimberly Craig is passionate about instilling the love of learning in her students. Immersing them in reading, writing, and acts of kindness are plentiful in the classroom. She has taught elementary school for the last 9 years.